I am a human who lives in Southeastern Nebraska. 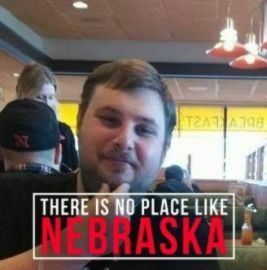 I was born in Omaha and have lived my entire life in the area. I'm a freedom loving gun-toting, and occasonially whiskey drinking American. During normal working hours I run a Walmart Dairy Department. When I'm not doing that I fix computers, phones, and anything tech related. When I'm not doing my day job or fixing a computer, I enjoy a few hobbies. My favorite thing to do is target practice. I am a member of two local gun clubs and frequently visit them. I'm also active in my local church. I also am an avid audiophile. No matter what I'm doing I also try to have the perfect soundtrack to my life at all times.